Ettington Park, the imposing Victorian mansion, is frightening enough to look at without venturing inside. Its scary neo-gothic architecture make it look like the architypal haunted house - so much so it featured in the classic 1963 shocker The Haunting. 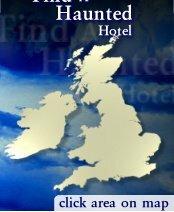 Ettington Park may now be a magnificent four-star hotel but its spirits ignore the guests and appear at will and have terrified visitors and staff alike for many years. Among the tales reported by white-faced guests are of a Phantom Lady in white who roams the corridors at night. Lady Emma, as she has been dubbed, has been seen by many swishing along the cloistered terrace before melting into a solid wall. Visitors have also reported feeling fabric stroked across their faces while in bed and cold spots at various points around the building. On Saturday you are free to explore the town of Thetford or just relax in the lovely surrounds of Ettington Park.